Before you begin this tutorial, you must have a web host and a domain. Previous I have shared how to get yourself free web hosting and free domain. Be sure to check them out. Now you have a web host and a domain. Setup a forum for your community sound nice. 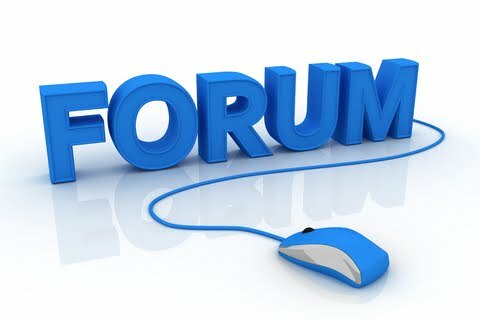 I will use SMF (Simple Machines Forum) to setup a forum website as an example. You may use other popular forum system as you like such as phpBB, vBulletin, bbPress, IPB, etc. The setup process is pretty much the same. Go to SMF website to download the SMF Full Install file. 000webhost has web-based uploader but they have limited the size of file upload. So we use another web-based FTP tool (www.net2ftp.com). In order to use net2ftp, it requires your 000webhost account information which is located on the right side of 000webhost CPanel. Go to net2ftp, enter your website address (eg. keyable.co.cc). Enter 000webhost account username and password in Username and password. Enter /public_html in Initial directory and click Login. Upload the SMF archive into public_html folder if you want your forum to be addressed with the main domain (eg. keyable.co.cc). 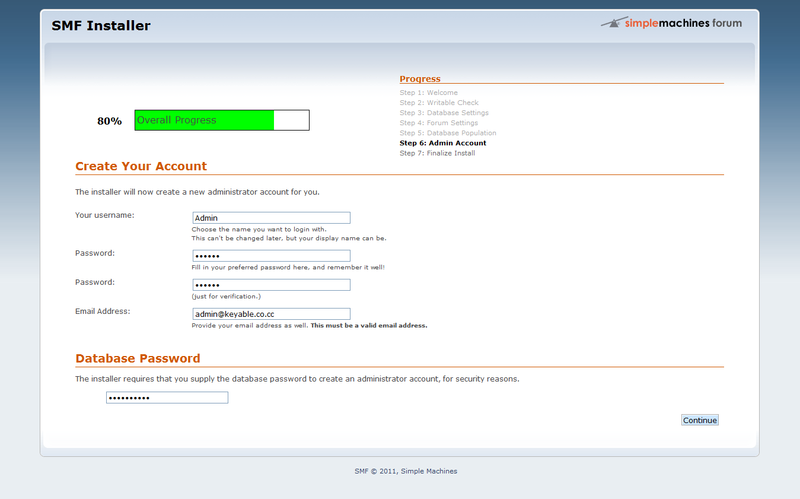 Or, create a forum directory in public_html and upload SMF archive and it will be located in yourdomain.com/forum (eg. keyable.co.cc/forum). The upload process may take a long time to decompress the SMF archive file. Forum needs database. 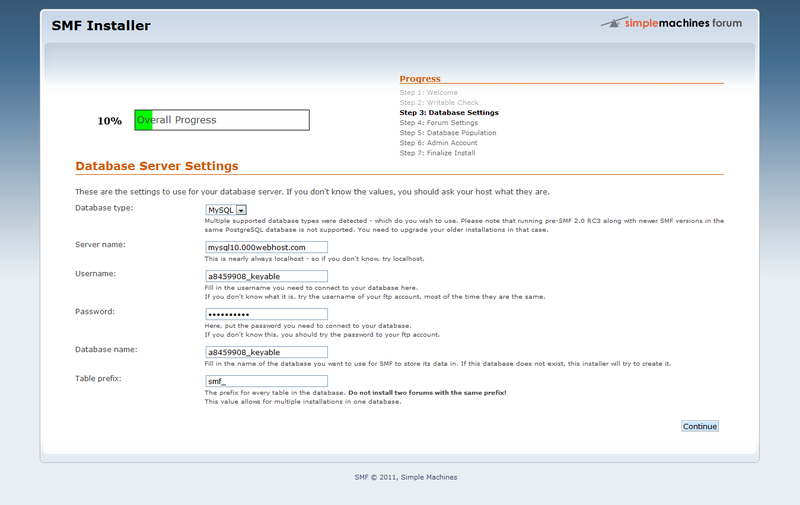 To create a database for the forum, go to 000webhost CPanel, click MySQL. Create your MySQL database name, MySQL user name, and password for MySQL user. The codes in front of database and user name are unchangeable, every 000webhost account's codes are unique. So after I entered keyable, the real name is a8459908_keyable. Once it's done, simply visit your URL address to proceed to forum installation. 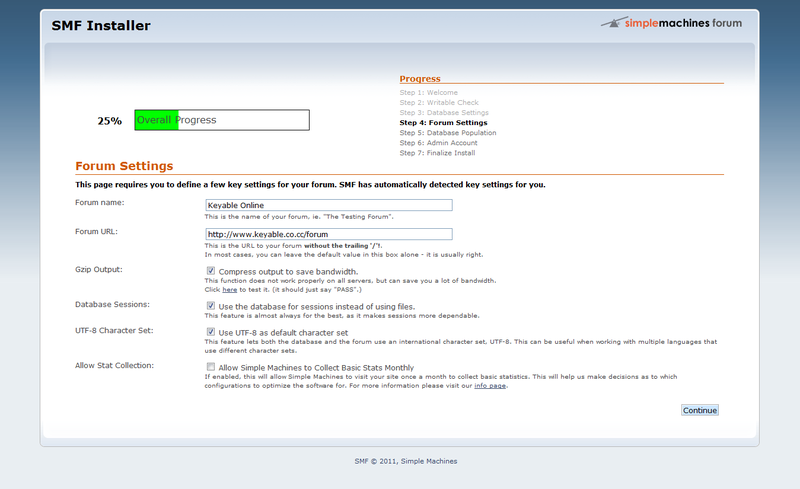 I uploaded SMF archive into public_html/forum, so I enter http://www.keyable.co.cc/forum for forum installation process. Click Continue to proceed the installation. Enter your database information. Database Type: MySQL; Server name is MySQL Host address (eg. 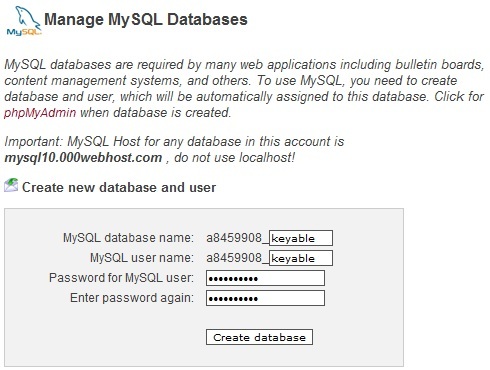 mysql10.000webhost.com); Username is a8459908_keyable; Password is MySQL password; Database name is a8459908_keyable; Table prefix: smf_ and hit continue. Give a name for your forum. Tick the UTF-8 box allows your forum to supports characters other than English. Click Continue. Create an Admin account for the forum. The forum installation is done. Tick the box of Click here to delete this install.php file now to delete installation file. It prevents hackers read the installation file. Now visit http://www.keyable.co.cc/forum, everything runs perfectly well. The steps above is a bit confusing especially the account username and password. That's how to install website software manually. You may easily install softwares using Fantastico Autoinstaller but the options are limit. If you have any question, feel free to ask. web page, and your views are pleasant for new viewers. with revel. You could be operative reimbursement associated with the reason My iPhone. I visit every day some websites and blogs to read content, except this webpage presents quality based writing. .Yeezy Boost 350mfortable going to the gym? Maybe you have lost weight and need to firm up the .Adidas Human Racearms and abs. There are numerous ways to work out at home, including the Wii.herve leger dress yoga, and the old standbys—treadmill and weights. But there is a to.football jerseystal body fitness program that might just be worth your time. In fact in ju.Adidas nmdst an hour a day, the P90X Extreme Home Workout guarantees that you will be fit and .ray ban wayfarerin shape in just 90 days.The P90X, developed by fitness trainer Tony Hort.http://www.shoesggangg.comon, is touted as a total body fitness program and includes twelve diffe.adidas glitch soccer shoesrent workout DVDs for you to follow along, a fitness guide and three ph.cheap soccer jerseyshase nutrition plan, as well as tracking and support. Used in the pri.Authentic Yeezy boost 350vacy of your home—along with standard weights or resistance bands, an.NIke Soccer Cleatsd a pull-up bar—you can firm up those muscles and be ready for bathing suit sea. camera was confiscated from a Patriots employee during the first quarter of the team's 38-14 win over the New York Jets on Sept. 9.Goodell said Sunday he expected the club to give the league the information it sought. "I'm very confident the Patriots are goin.Aliexpressite ng to abide by the rules," he said. "They understand that the consequences could increase. "The Patriots beat the San Diego Chargers 38-14 on Sunday night without the video camera, but many questio.ite soccer ns at Belichick's regular Monday news conference dealt with the investigation. He tried to shift the focus to the latest win and next Sunday's home game against Buffalo.Team owner Robert Kraft gave B.ite soccer store lichick the game ball Sunday night. "I appreciated it. It's a nice gesture. The most important thing is to put that (game) behind us," Belichick said. "It's time to move on."